I have come to understand many things about life by living in a rural area and observing the natural world. 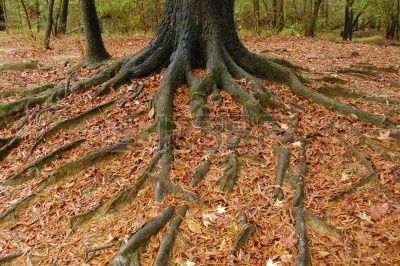 I remember two specific examples of the same lesson about strength and tenacity that involved tree roots; in both cases the roots triumphed over me. The first experience was early in my days here when it was decided that the grape arbor in the middle of the yard had outlived its usefulness (very little fruit which was not pleasant to eat) and was obstructive of the sight line and path to our conference hall. I decided that perhaps a second chance should be given this old but revered vine so set to digging it up. After a week of hard exercise I yielded to the reality that I would be in China before finding the end of the taproot, even though the vine itself had obviously “given up the ghost.” My second attempt at transplantation came at the edge of the asparagus patch where one of the ever-present maple seed-pods had taken root in the spring. I was astounded later in the season when I tried to dig out the slim, 18-inch slip of a branch and found myself once again on the way to China! How quickly and tenaciously roots had been set down and the seedling had determined to stay. It is now a towering tree and I take example from it quite often. This “memory walk” began this morning as I read the verse before the gospel which proclaimed: Blessed are those who have kept the Word with a generous heart and yield a harvest through perseverance. (See LK 8:15) Wondering what the gospel reference was I went to the Bible and found (of course!) Luke’s version of the sower planting seeds. Having been drawn to the verse by the qualities mentioned – generous heart and perseverance – I was glad I looked because the New American Bible translation (circa 1970) added a stronger nuance of responsibility saying; The seed on good ground are those who hear the Word in a spirit of openness, retain it and bear fruit in perseverance. So how does this connect with the trees – other than my failure to persevere in the task? For me it all came together in Psalm 1, a template for all the other 149, which speaks not of seeds but sees us as trees being planted in God’s law. It is lyrical and meaningful and I offer it today as a way to pause on our Lenten journey to take stock of our progress and to rest in the Creator’s care. 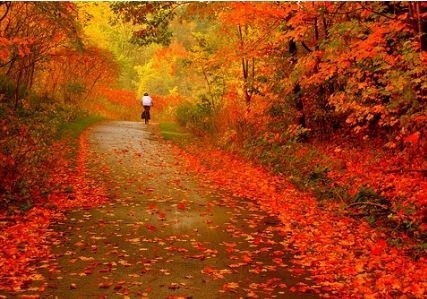 Blessed are those whose steps are firmly planted on Your eternal law…[They] grow strong as living trees, their roots sink deep and hidden…and through life’s passing seasons they do not cease to bear a plenitude of fruit nor do they fade from giving shade of leaf that covers all with good. The heavens declare the glory of God and the firmament proclaims God’s handiwork. Day pours out the word to day and night to night imparts knowledge. Not a word nor a discourse whose voice is not heard. Through all the world their voice resounds and to the ends of the world their message. God has pitched a tent there for the sun, which comes forth like a groom from his bridal chamber and, like a giant, joyfully runs its course. At one end of the heavens it comes forth, and its course is to their other end; nothing escapes its heat.